BlackBerry 9300 to be the Curve 3G? Rumors say that the BlackBerry 9300 is going to be a 3G compatible handset, or as BGR says, it should be considered more like the “BlackBerry Curve 3G”. So, here’s what we have on the device: it’s said to have a quad-band GSM/GPRS/EDGE and a tri-band UMTS/HSDPA support. 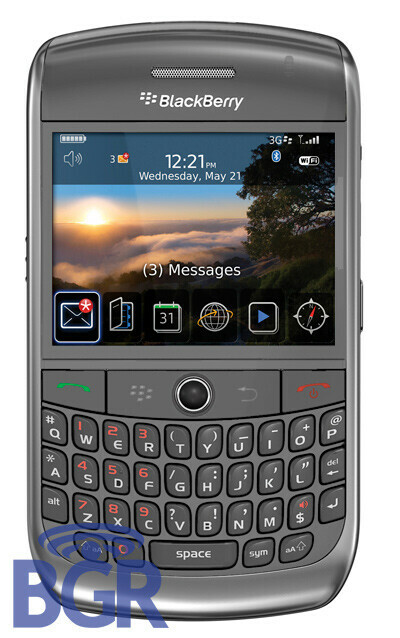 Add to it a larger screen with higher resolution, compared to the one of the BlackBerry 8900. The CPU is expected to be more powerful, but still, we aren’t sure if it is going to leave behind Storm’s 624MHz processor. It is currently uncertain if there is going to be a Wi-Fi and GPS support, but expectations are more on the positive side . Same for the camera – it’s said to be a 3.2MP (or higher) one. Other details are concerning the design of the phone, which will be offering a silver color solution, combined with a little more rounded keyboard. Unfortunately, the 9300 isn’t expected to launch anytime soon, but when it comes to such a promising device, anyone can wait, right? That should be a very nice berry! I want! I want! Im hoping it comes out for Big red... I'm missing actual keys (storm owner) I love the storm for all of its ups and downs however Im a text maniac and its just not living up to my expecatations, and has put a stop to my texting while driving... HA HA. Without looking at the keyboard of course, because without keys and a huge HD like touchscreen I would have to stare at the phone while Im texting, and that my friends is a big no no. So for now, fingers crossed and hoping for the best! 9300 looks sweet!